At Riversdown we tailor your course to meet your needs and to focus on the language skills that are most important for you. Perhaps you have a crucial meeting or a career-defining presentation coming up. Maybe you have an interview for that exciting new job you’ve always wanted. We can help you with all of these and more. Just let us know your requests in advance and we will work with you and do our best to meet them through a course individually tailored for you. In addition, we can tailor your experience. Thanks to its excellent location, Riversdown is the perfect place from which to get to know various aspects of British life and culture. Walk in the footsteps of Jane Austen and discover some of the beautiful places that inspired her. Witness breathtaking Premier League goal-mouth action at Southampton FC’s magnificent St. Mary’s Stadium. 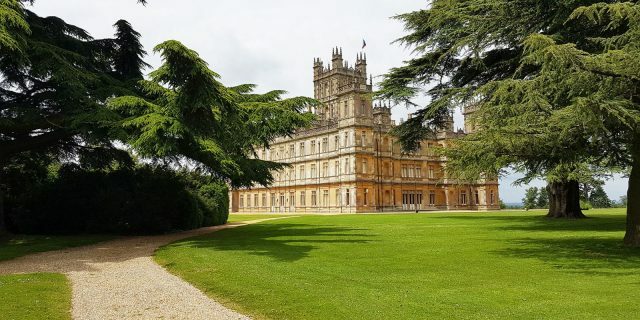 Visit Downton Abbey and see the TV location become real, or marvel at the stunning architecture of Winchester Cathedral and the sheer mystery of Stonehenge. Then relax in an authentic, traditional English pub and reflect on what you have seen. In fact, one of the best ways to learn a language is to learn the culture too, so come to Riversdown for a highly effective, individually tailored blend of the two. And why not give a tailored course at Riversdown to that special person as a unique gift? It would make a real difference to them and would be remembered forever.